The early morning flight from Delhi gets to leh in less than two hours. From the airport guests would be transferred to a three star city hotel where they would be housed on full board. Leh is at an altitude of 3500mts. And all guests are advised to rest for the entire day. 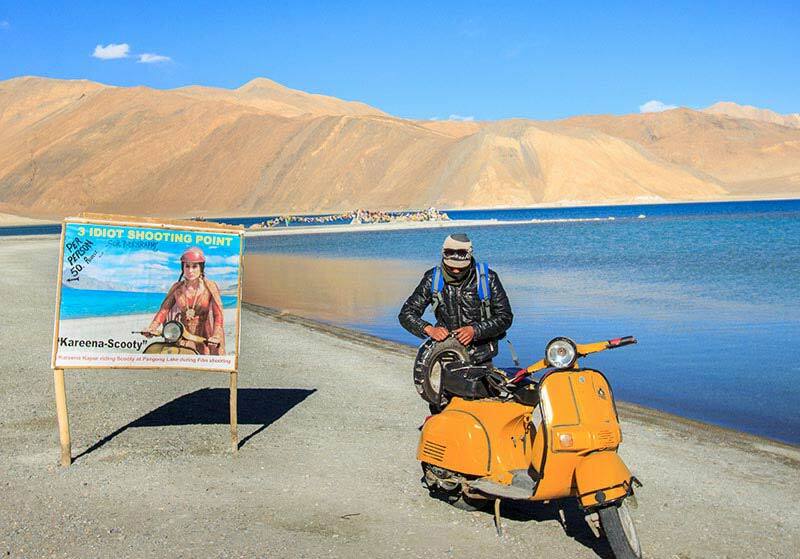 A successful trip in Ladakh requires you to acclimatize well. The village shey is about 16kms to the east of Leh and the right bank of Indus. They shey palace originally began with a hill top fortress of which only ruins are existing at the higher end of the present day palace and temple. It overlook the village along with the river valley below. At the base of the hill there is a small lake. Shey was once the capital of the kingdom of ladakh. The present place, which has now been taken over by ASI for restoration, dates back to the time of Deldan Namgyal. The entire area below the palace is dotted with many archaic of chortens which implies that shey has been a historically significant palace. Village Thikse is situated about 20km east of Leh. The thikse gonpa is a fantastic architectural complex which resemble the Potala of Lhasa and takes up whole hill side on a right bank of Indus. It was founded by Sherap Zangpo nephew Paldan Sherap in 15th century and belongs to the Gelugpa order. Infact the foundation was prophesied by Tsongkha pa who declare “on the right bank of the river Sindh my teaching will come to flourish”. This active monestary is headed by successive reincarnation of the Khanpo rimpochay, the present one is kushok Nawang camba Stanzin . Chemray monastery perched on a hill was found by the monk -king duo of Stagtang raspa and king Singay Namgyal and named Thegchok dechenling by the former and the later acting as the patron. It belongs to the Drukpa Kargyud lineage and the successive reincarnations of Satsang Raspa is the head lama. About 50km to the east of Leh on the left bank of Indus, Hemis gonpa is perhaps the most famous and richest Monasteries of Ladakh. It is also the largest in terms of number of lamas residing. 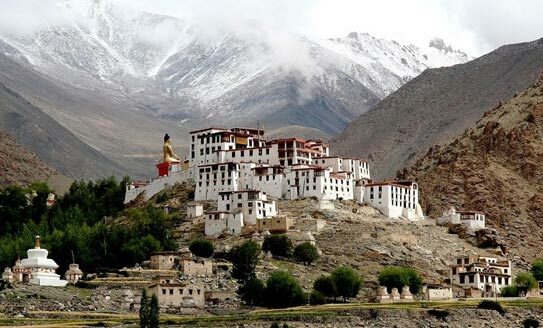 It was founded in 1602 by Staksang Raspa a butanese monk, who was invited to Ladakh by king singay namgyal. It belongs to the Drukpa order of the Kargud pa sect with the royal patronage it soon become the most prominent monastery. However the site has a history prior to the event s. The successive reincarnation of lama Stagsang Raschen act as the head lama of the monastery. The monastery also possesses world biggest thanka, which is unfurled for display once in 12 year. The thanka wrought in pearl and appliqué is one of the most famous treasures of Ladakh. The shanti stupa is a new stupa which was constructed by the Japanese Fuji Furuji and promote world peace. The stupa was completed in 1985 and consecrated by HH the Dalia lama. 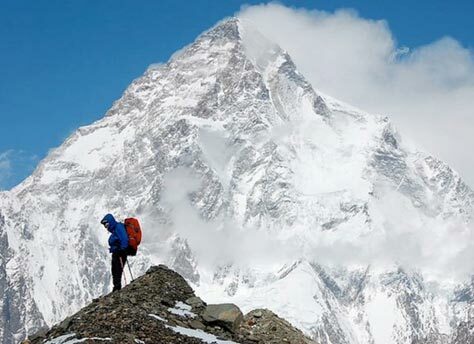 It is atop a hill in changspa village with a motorable road right up to the top. Its position atop the hill overlooks the entire Leh town and the Indus valley, which is a breathtaking view. Driving back to hotel. Stay overnight at hotel in leh. Early in the morning after having breakfast drive toward the surrounding place of ladakh. Khar or lichen palkhar or the royal palace is the iconic -landmark of not only leh , but of entire ladakh. The nine storied enormous palace is one of the largest single structure monument anywhere in the country, and is truly an architectural masterpiece. It is also considered to be the oldest nine-storied building in the world. Sengge Namgyal, the greatest ruler of ladakh constructed it more than 350 years ago. It commandingly overlooks the main town, reminding the past glory of ladakh. In todays time, however, it might as well reminds us of the neglect shown by us to our own heritage. Located on the Namgyal peak, at the end of the ridge which is far higher than the ridge at which the le h palace is located, is the oldest surviving royal property, the photang. Built by tashi namgyal in early 16th century, this is the first recorted fort in leh. This is also the only royal property that is being looked after by gelukpa order while others are influence by Drukpa order. The fort, though in ruins , has traces of murals. Below the fort is the gonkhang and further below is the more prominent red maiterya Buddha temple . Stok khar is the present resident of the former royal family of ladakh it was built in 1825 by king tsewang thondup namgyal and after the dogra invasion of ladakh in 183os the royal residence was shifted here it is a five storied building with private quarters of the queens on the second floor today the palace has been partially converted into a museum it contains collection of the royal family such as turquoise studded perak the queens crown as well as necklace of the balti princes the gurphuk gonpa a branch of spituk monastery is little away from the palace its annual festival called guru tseshu is well visited by one and all. The village matho is about 25km from leh situated on the left side of the Indus the monastery which is also known as thupstan shaling choskor is located on a high feature which overlooks the village it is the sole monastery of the sakypa sect which originated in late fourteenth century in ladakh the monastery itself was established in the early 15 century by Tibetan sakya scholar dorje palzang the king dragspa bumde who was greatly impressed by the meditative ability and saintliness of monk dorje palzang donated large chunk of land to the monastery in the late 16th century invading muslims almost destroyed the monastery and imprisoned the king . Later the king was released and another Sakya lama Chakyi Lodo, took charge of the monastery, renovating it and restoring its activities. The spituk monastery is about 7th kms from Leh. The village itself is situated on the right bank of Indus and the monastery is over a hill overlooking the valley. Infact the present monastery is said to have come up on a previous 11th century temple which was built by a king of Guge who belonged to the Kadampa sect. The present monastery belongs to the Gelukpa sect, also known as “yellow-hat’ order founded by the Tibetan master Tsongkhapa (1357-1419AD) dispatched by him to Ladakh were welcome by king Dragspa Bumdle, at whose command the firs tGelukpa monastery was founded at spe-thub (means ‘effective as an example’) by Lama Lhawang Lodoe. It is also considered to be the first Tibetan monasty in Ladah. 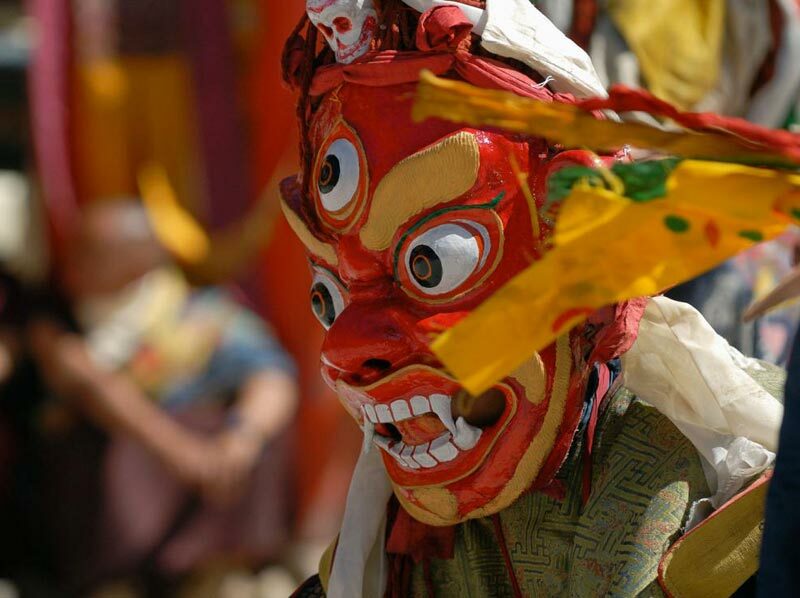 However, a popular belief exist in Ladakh according to which the monastery came into existence by a miracle. 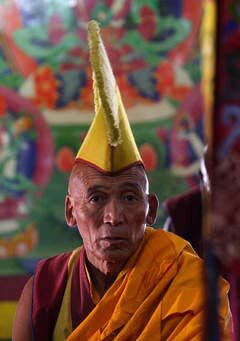 The monastery at present is headed by the successive reincarnations of the Bakula Rinpoche, one of the sixteen Arahts. The approach road to the monastery is from northern side, overlooking the airport runway. The courtyard and some parts have been recently repaired. The main rooms in the Monastery are Dukhang, Chikanng and Gonkang. Back to hotel. Explore leh market in the evening . overnight at hotel in leh. Phyang monastery is situated about 17km west of Leh (about 3km from the main highway). It is said to have been built in the 16th century under the order of king Tashi Namgyal. This is the first Driguang-pa monastery in Ladakh, th others being Lamayuru and “Shashikul (in changthang). According to a popular legend, a flagpole was erected at a spot from where on can have the first glimpse of the monastery. Anyone guilty of a crime, if would come to this spot an d comfess, his crime was pardoned. Of particular intrest in the gonpac is the exquisite collection of pre-fourteenth century Kashmiri bronzes. The tradition of the Digung teachings began with Skyoba jigsten Gonbo. The Drigungpa teachihgs of Skyoba Jigsten Gonbo were founded by Chosje Danma Kunga. 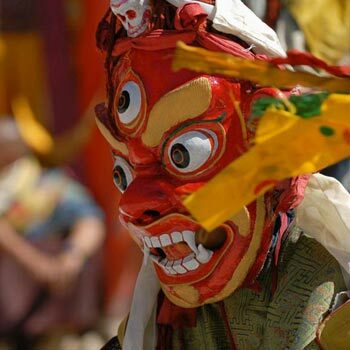 A five storied thanka of Jigsten Gonbo is a prize possession of this gonpa. The village Basgo lies about 40km to the west of Leh along the right bank of the Indus. The highway cuts through the village and on the right side up on the craggy, clayey mountain lies th fort and the temples. It is also known as Basgo Rabstan Lhartse Khar. Despite the fact the Basgo fort is a ruined crag, it is one of the most impressive sites worth a visit. Basgo used to be the capital of lower Ladakh which was being ruled by Drags pa Bum, but during the reign of Bhagan. (the grand son of Drags pa Bum in secnd half of 15th century) the capital was shifted to Leh, when upper and lower Ladkah wa united. The fort is precariously situated on the hill and in 1680, it with stood three year siege from Tibeto-Moghuls onslaught. To break the siege, the King of Ladakh had to seek help from Moghuls(1683), but it came with a cost that the king would convert to islam. There are three main temple around the ruined forts and it is under Drugpa Krgyupa order of Hemis, a possible later inclusion. The Meitreya of Basgo has a pure Tibetan influence, unlike Kashmiri and Indian influence which is visible at Alchi. The village of alchi is situated on the left bamk of the Indus about to the west of leh it is not visible from the main road after about a couple of kilomitre from saspol there is a limki road von the left which leads to ba bridge across the river vindus and further to village alchi which is about from the main road alchi is believed to have been built in century when Buddhism was growing in the western Tibet and ladakh as pere vlocal belief the monastery was founded by lossava rinchen zangpo however some scholars give the credit for its establishment to kaldan sherap according to popular belief the half withered venerable willow tree which exists even today at the entrance to the choskor grew from the walking stick of lotsava rinchen zangpo. Rizong gonpa is about 70 kms west of leh from ule tokpo on the chighway a narrow vallay turns right along a a stream and ends about 6km from the main road the sudden glimpse of the large monastery gives an imposing view which lets you ponder as to what prompted the founder to come to such a remote and isolated place in an unhabited valley the monastery founded in 183os by lama tsultim nima observes a strict monastic discipline advocated by tsonkhapa the principal building the dukhang contains images of sakyamuni maitreya Buddha amitayus tsongkhapa and avalokiteshvara . Start our day after breakfast drive towards lamayuru from the camp. Lama yuru is 126km from leh on the sringar leh road and 29km from khaltse the lamayuru monastery is perched on a hill over looking the village surr ounded by stupas and mani walls some olod chortens of rinchen zangpos time are also spread on the outskirts of the village on the opposite side of the valley there is an yellow coloured moonland like landscape. Lekir lies in a side-valley of the Indus .According to the legends, it was built inside a circle formed by the bodies of two great naga kings, Nando and Taksako. Its name Lukyil, means the “water spirits ‘ circle”. 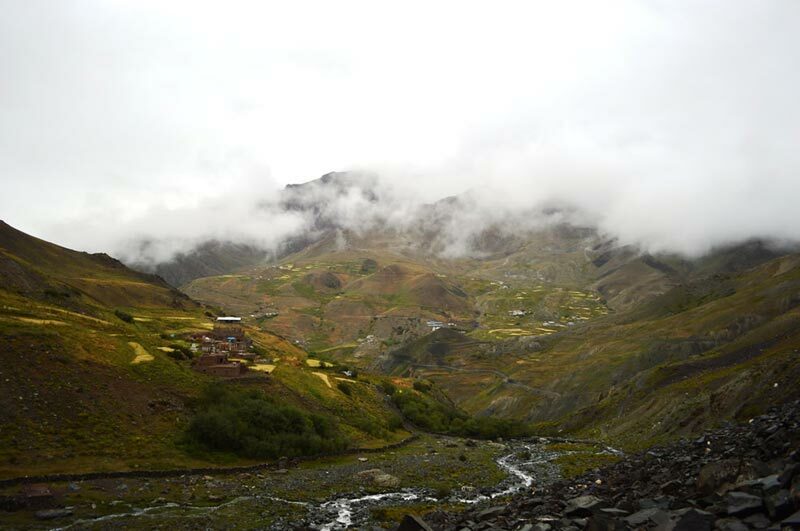 Lekir monastery was founded during the reign of Lchanen gyalpo (100-1125AD). One of the most magnifiecent image of the Maitreya Buddha and the only one of its kind is out in the open, more then 20m high. Overnight stay in hotel at leh.